Making paperless working - work! With a digital document system in place, all documents that come into your office can immediately be scanned and electronically stored, making it easy to send them electronically to everyone who needs it. It is no longer necessary to waste time looking for documents. Document searches can be done quickly and gives results in seconds. Security of a digital document is far better when stored with username and password.This means that only authorised users are able to retrieve the documents, making it more secure than paper, which could fall in the wrong hands. And accessing it is much more fast, easy and easy. 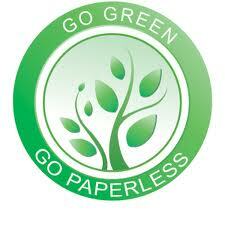 One can access it from anywhere - home, office, while travelling....and this way we are going green!! Scan any paper documents that aren't available in electronic form and any old documents you've held on to. If you have a multifunction printer (all-in-one), put the scanner to good use. Many multifunction printers come with software that automatically converts your scans to PDF files. Going paperless means having a lot of PDF files on your computer, but they don't all need to be locked away there. You might want to store some PDFs in the cloud, to make them more accessible. 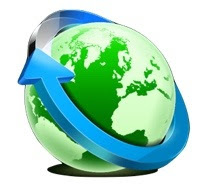 Cloud services like Dropbox, SkyDrive, and Box let you access your files from multiple devices, from almost anywhere. And if you've got a Kindle, you can always send your PDFs to your Kindle as well. With so many notes taking apps. it is much easier and efficient to take notes using these softwares (most of them are free) instead of traditional pen - paper. Evernotes, OneNotes, QuickNotes, .... list is endless. For me best is Evernotes - it works every where...and is very sophisticated.